Tucker the PAWS Ambassadog – Tucker, a former shelter dog here at PAWS, is now positively impacting and changing lives — dog and human — as part of our Visiting Pet Program! Learn more here. Cell Dog – PAWS’ Cell Dog Program changes lives — for man and for dog. For this transforming program, PAWS dogs are carefully selected to be trained and cared for by approved inmates at Kyle Correctional Center. The chosen handlers first go through two weeks of classroom training before they begin six weeks of round-the-clock care of their assigned dog, with semi-weekly training sessions by the PAWS professional trainer. Learn more here. 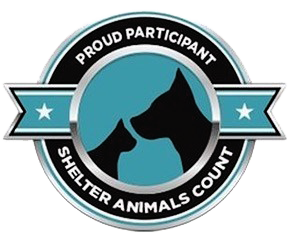 Hill Country Shelter & Sanctuary – Since PAWS Shelter of Central Texas opened its doors to care for the abandoned and stray animals of Hays County and Central Texas almost a quarter century ago, the area has experience explosive growth in both human and animal populations. Today, the shelter is faced with an ever-growing capacity strain. Learning of our dramatically increased need for a larger space, Shirley Alexander, a woman of immeasurable kindness generously donated 39 acres of gorgeous Hill Country land to PAWS on which to build a larger facility. More about our Hill Country Shelter & Sanctuary here. Bequests and Perpetuity Care – A bequest in your will or living trust is a wonderful way to leave your legacy of compassion and support for homeless, abused, and neglected animals. More about Bequests here…If you can’t imagine life without your pet, imagine your pet’s life without you. According to the ASPCA, 2-3% of all pets enter shelters due to the death or disability of the pet owner. What will happen to your pets if they outlive you? More about Perpetuity Care here. Memorials and Honorariums – Remember or honor a beloved pet or person. More about our Memorials and Honorariums here.